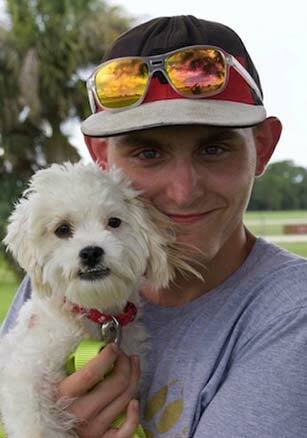 Not only can taking in a needy pet under the Caloosa Humane Society’s Foster Program be a richly rewarding experience, it gives animals who are not yet ready for adoption a chance to live and thrive in caring foster homes. By offering their time, energy and loving home to an animal in need, foster volunteers provide stress-free conditions to better prepare the animal for adoption into a forever home. This enables kittens and puppies to grow and be socialized, or in some cases with older animals, mature or recuperate. Some animals may need as little as two weeks of care, while others may need care for up to three months. Foster volunteers donate their time and loving home to pets in need. 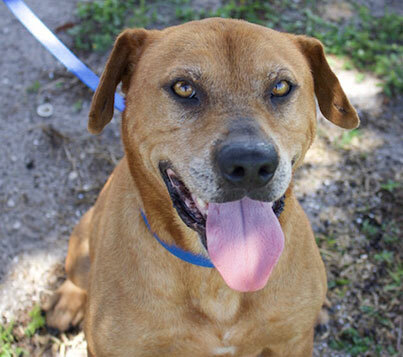 The Caloosa Humane Society contributes necessary items such as food, litter boxes, etc. and, provides any medical services or supplies should the need arise. I never thought I would fall in love again at 50, and again, and again, every time a kitten makes it into my hands I’m head over heels in love again. 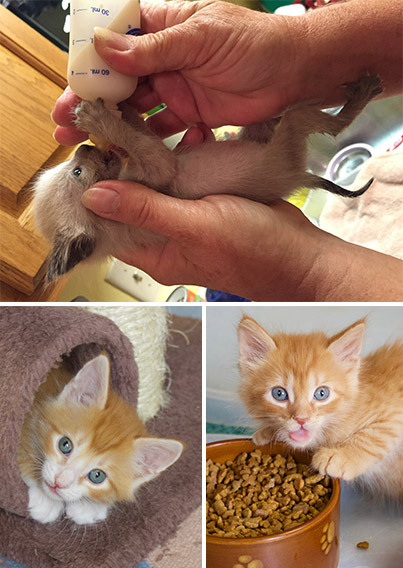 For me, it’s an honor and pleasure to give these little kittens the best start in their young lives after losing their Mother. Fostering baby animals, wild or domestic is so satisfying. Watching them go from helpless babies that depend completely on you for survival to adoptable pets is just the best feeling. It’s a lot of work but it’s so worth it in the end. I love fostering mama cats and their kittens. The profound sense of joy in seeing these youngsters grow and discover their new world is unmatched – it can be a lot of work but I can always count on smiling at their antics and sheer zest for life! Kittens and puppies who are too young for surgery and adopted out into permanent homes. In some instances in which the mama is absent, kittens and puppies may need to be bottle fed. 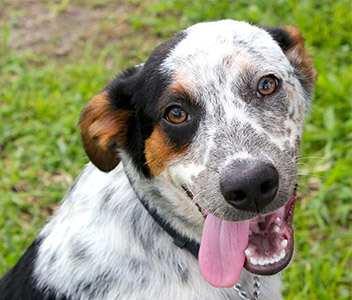 Sick or injured pets which may need a quiet place to recover as well as some additional care. Cats or dogs who are nursing a litter of kittens or puppies. Although our shelter is a safe place, it is not the best environment for raising babies. Adult animals with behavioral issues from neglect or poor interaction with people, or just plain stress from being placed in the shelter. Do you have the time for the extra work fostering will entail? Do you have the space? Most of all, are your family members in support of taking in a foster and the time (and sometimes messes) involved? If you have pets, how will they react to a foster pet? 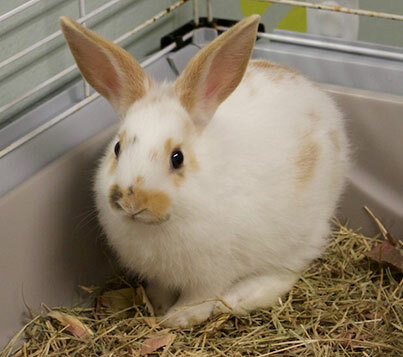 Do you have space to separate the new pet until he/she acclimates to your home? What kind of fostering do you want to do? An older animal or active puppies or kittens that may need bottle feeding? What size and kind of foster can you handle? Do you prefer short term or long term fostering? Last but not least, will you be able to emotionally let go of the pet when he/she is ready for adoption? 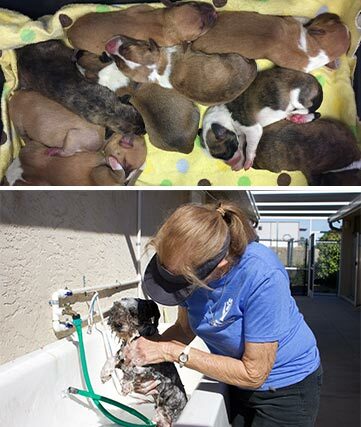 If you would like to join our wonderful team of foster volunteers, please complete the application and either bring it to the shelter or email it to us at info@caloosahumanesociety.org. Once the application is approved, we will contact you to set up an appointment with our shelter manager or attend a Foster Care orientation. The orientation will allow you to learn everything you’ll need to know about caring for a foster animal, while meeting our staff and getting an up-close look at what CHS does.